As we end 2016 and look forward to 2017, one of the biggest and most anticipated events of next year will be the return of the Nokia brand to mobile devices. In mid-2016, the Finland-based company reached an agreement with HMD Global Oy, which will launch new smartphones – running Android – with the Nokia brand next year. In fact, just this week HMD actually announced its first two Nokia-branded phones. Before you get too excited though, these devices are feature phones: the Nokia 150 and 150 Dual SIM. Both will go on sale in parts of Europe, Asia and other markets in the first quarter of 2017. However, we’re more interested in the launch of new Android smartphones with the Nokia name. Here’s what we definitely know about those plans (spoiler alert: not much yet) along with the rumors about what we may or may not expect from these new products. HMD Global has the rights for the next 10 years to release feature phones, smartphones and tablets with the Nokia branding. The first smartphones to use the Android operating system are scheduled to go on sale sometime in the first half of 2017. HMD is technically a startup, formed just in the last six months and based in Finland, just like Nokia. It’s also run by former Nokia executives led by CEO Arto Nummela and President Florian Seiche. Technically, Nokia will have no design input in the making of these new Android smartphones; all of that will be handled by HMD. The phones will be made by FIH Mobile Limited, which is a subsidiary of Foxconn, one of the biggest assemblers of smartphones and the maker of the iPhone. The company has also hired Pekka Rantala to be its chief marketing officer. He was not only a former senior vice-president of marketing at Nokia, he also served as the CEO of Rovio Entertainment, the creators of the Angry Birds mobile game franchise. Rantala has a ton of experience in getting people interested in mobile brands and may be the perfect choice to help relaunch Nokia’s name in the mobile phone market. HMD has also selected Mother, one of the world’s biggest ad agencies to handle its global launch of Nokia smartphones. Mother’s clients include Target, Calvin Klein and many more major companies and brands. So far, HMD has only offered vague statements about what their Nokia-branded smartphones will be like. They claim the phones will offer consumers “innovation, quality and experience” and will combine that with Nokia’s previous reputation of offering iconic “design, robustness, and reliability”. HMD reportedly plans to spend $500 million in marketing over the next three years to support the sale of the new Nokia phones. Believe it or not, that’s all that Nokia and HMD have confirmed so far for their mobile phone return. But what about all the rumors about what those first Android smartphones might actually be like? HMD Global will be attending the annual Mobile World Congress trade show in Barcelona, Spain in late February, and most of the online, but unconfirmed, rumors claims that the company will make the first official reveals of its Android smartphones at that event. We certainly think MWC 2017 is the perfect venue for the Nokia relaunch – it’s just a question of whether they will be ready by then. As far as the actual smartphones that the company may announce, things are much more foggy. One site that claims to have info on those phones is a fan site called NokiaPowerUser, via “unnamed sources”. Keep in mind these reports are highly suspect and should be taken with a big grain of salt, but here they are for your evaluation. NPU says that the first Nokia branded phone will be called, rather unimaginatively, the D1C . This sounds more like a code name than one that might actually be used for a shipping product, so even if that part of the rumor is true, it’s likely that name will change between now and the official reveal. The site says that there will be two variants of the first Nokia-branded phone from HMD. One will reportedly have a 5-inch display, 2 GB of RAM and a 13 MP rear camera, while the other will have a 5.5-inch screen, 3 GB of RAM and a 16 MP rear camera. Both variants are supposed to have a Qualcomm Snapdragon 430 processor inside running at 1.5 GHz, along with 16 GB of onboard storage, along with an 8 MP front-facing camera and Android 7.0 Nougat pre-installed. Pricing for the 2 GB version is supposed to be around $150 while the 3 GB version is rumored for about $200. There have also been some alleged screenshots and renders of this phone floating around the Internet, but quite frankly, they are of even less legitimacy than the hardware specs we have just mentioned so we won’t even post them here. Again, we want to emphasize the fact that the above specs have not been confirmed in any way, shape or form and they may turn out to be way off from the final product. They are presented here just to represent the latest rumors about the new Nokia smartphone. While HMD will have a lot of good will from many fans of Nokia, it will have many challenges to overcome. There is a lot of stiff competition in the Android smartphone space already, and even though it has a lot of experience behind it HDM is still a very young company. It will have to prove itself right out of the gate that it can go up against established businesses like Samsung, Lenovo, LG, HTC and others for the smartphone audience. Nokia must also offer innovative features for its phones that make them stand out from the crowd, yet also make them affordable enough so that consumers will give them more than just a passing look. 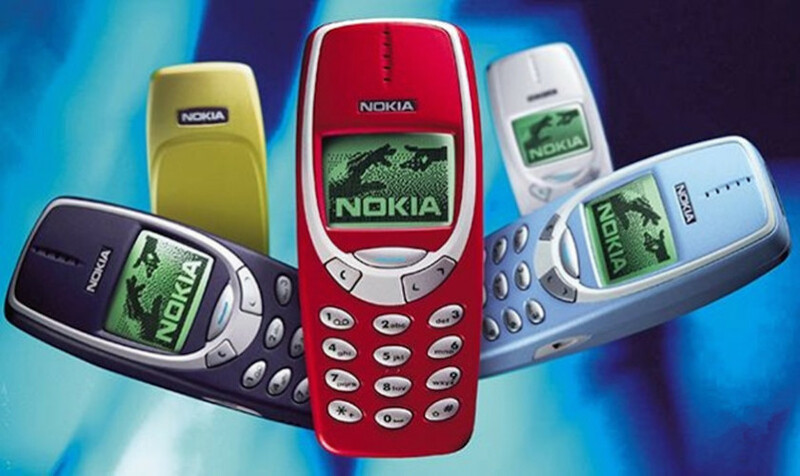 Finally, HMD needs an absolutely killer marketing campaign that will combine nostalgia for the Nokia brand with the new beginning for its smartphone products. What do you want to see in HMD’s Nokia branded phones and do you think the name came be resurrected in the industry in 2017? Let us know your thoughts in the comments.